Jennifer Lunden’s lyric essay, “The Butterfly Effect,” won first prize in the Creative Nonfiction animal issue (Winter 2011), went on to win a Pushcart, and later was anthologized in True Stories, Well Told… From 20 Years of Creative Nonfiction Magazine. She told a version of “The Butterfly Effect” at Slant, a storytelling night organized by the Telling Room, in Portland, Maine. The essay has now been optioned for a short film. In “Exposed: The Mammogram Myth and the Pinkwashing of America,” a piece for Orion, Lunden revealed the politics behind the corporate-driven breast cancer awareness campaign. Her essay about the health impacts of industrialism was selected for the anthology Charlotte Perkins Gilman: New Texts, New Contexts. “Evidence,” a personal essay about getting lost in the woods and the vagaries of memory, was published in River Teeth and later was named a Best American Essays notable. It was later republished as “Evidence, in Track Changes” in DIAGRAM. Lunden’s poems have been published in Sweet, Peacock Journal, Poetry Canada Review and The Café Review, and she has read them live on CBC radio. “Killing Things,” a flash fiction piece, appeared in Wigleaf and “The Fish Story” appeared in Eclectica. Her documentary Sadie’s Last Day was an official selection of the Maine International Film Festival. She is the founder and executive director of The Center for Creative Healing, based in Portland, Maine, and was named Maine’s 2012 Social Worker of the Year. She now teaches social work as an adjunct professor in the online programs of Simmons University and the University of New England. Her essay about therapeutic writing,“Salvage, Salvation, Salve: Writing That Heals,” appeared in the Spring 2013 issue of Creative Nonfiction. The recipient of the 2019 Maine Arts Fellowship for literary arts and the 2016 Bread Loaf-Rona Jaffe Foundation Scholarship in Nonfiction, Jennifer Lunden, a dual citizen, has also been awarded two grants from the Canada Council for the Arts and one from the Money for Women/Barbara Deming Memorial Fund. She has received fellowships from Yaddo, the Virginia Center for the Creative Arts, Hewnoaks Artist Colony, and the Brown Foundation Fellows Program at the Dora Maar House in Menerbes, France. 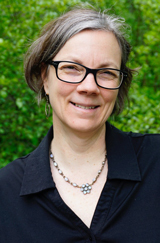 Twice a Maine Literary Awards finalist, Lunden teaches writing for Iota Online, and has presented at the University of Southern Maine’s Stonecoast MFA program, the University of New England, and the Writer’s Conference at Ocean Park, among others. She and her husband, the artist Frank Turek, live in a little house in the city, where they keep six chickens, two cats, and a Great Dane named Elsie.